Many game-makers dream the dream of overnight success, but few get to live the reality. For three-man French team 1Button, the dream came true, as their new title Mr Jump rocketed up the App Store charts, shifting more than a million copies every day. “We are stunned by such an explosive launch!" says team leader Jeremie Francone. “But we know that the most difficult part starts now: if we want Mr Jump to become a long-term success, we’ll have to frequently release new features and add new content." Mr Jump has also succeeded in converting that astronomical download figure in to cash, although not in the way you might expect. “The ad remover does not appear to do well because there aren’t many ads displayed," says tools coder Alexandre Konieczny. “On the other hand, level unlock keys are much more profitable. In terms of revenues and press coverage, this is the first time we’ve got this far." 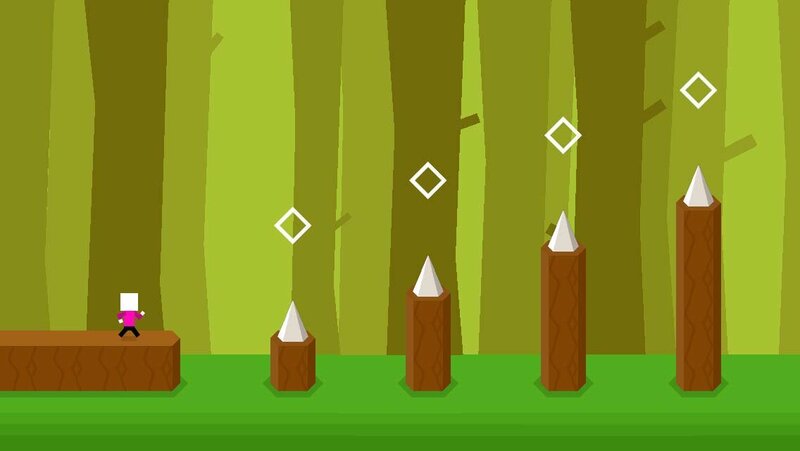 The nature of Mr Jump’s tap-tap gameplay has lead inevitably to comparisons with that veritable poster child of simplistic viral hits, Flappy Bird. 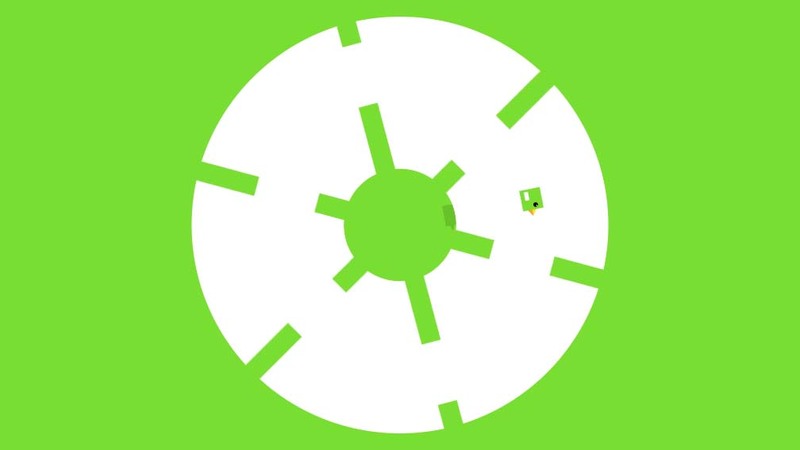 Graphic artist Thomas Castel comments: “Mr Jump and the Flappy Bird-like games share the same brutal difficulty. And the thing that is appealing is that it is not impossible, it’s not a stupid difficulty: when you lose, you know it is your fault, you can only blame your skills, so you want to retry. That being said there is a difference between Flappy Bird and Mr Jump: in Flappy Bird the player has to play tirelessly with following the same pattern again and again. Nothing changes: the level design remains the same and the difficulty is steady. In Mr Jump the levels are finite so there is a progression, this is the key difference." Flappy Bird didn’t directly inspire Mr Jump, says Thomas: “If anything Mr Jump was inspired by Mr Flap, our take on the concept of Flappy Bird. Mr Flap was Flappy Bird in a circular area but that was not all its originality. We had already nailed Flappy Bird’s biggest flaw: it’s linearity. Mr Flap has a progressive difficulty which increases its appeal and replay value. So the core concept of Mr Jump is not the same, of course, as the concept of Mr Flap / Flappy Bird, but its biggest strengths come from it." As a team, 1Button is relatively new, but Jeremie and Thomas, both 28, have been friends since childhood, sharing a love of video games and programming. They met 27-year-old Alexandre while all three were studying computer science, and with the arrival of the App Store in 2008 they decided to make games together. “We developed our first games during our spare time, while working in different companies, starting in 2010 under the name Nuage Touch," Alexandre recalls. “We earned $17 with our first game, so we decided that we needed to gain experience and skills before thinking of making money. We did that for two years. In 2012 Thomas resigned from his job to work full time for Nuage Touch. One year later Jeremie did the same and we eventually founded our company 1Button together. Finally I left my job in 2014 and we all work together full time since then." Jeremie continues: “We chose the name 1Button to emphasize the fact that we love simplicity. Simplicity is not just a matter of graphics, it’s a philosophy for the whole design process. By keeping things simple, we manage to reduce the development costs and to limit the risks. This way we can focus on game mechanics instead of trying to make a cash machine. I think that this is the key to success." “Most of our apps are puzzle games," says Thomas. “With Mr Jump we wanted to show that we were capable of doing something different: more action oriented and ‘less simple’ graphically. But even if Mr Jump is a success it doesn’t mean we will stop making small and passionate puzzle games in the future. So our next game might be a puzzle game." Interestingly, none of the three developers name Mr Flap as their favourite of their own games. Jeremie prefers ON/OFF, which he summarises as being like a flattened Rubik’s Cube. For Alexandre it’s Quetzalcoatl, which he says is the only 1Button game he has completed. Thomas plumps for Bicolor, explaining: “This game summarizes our philosophy: it is simple and clever. And I love it most because the concept came during what we call a ‘toilet moment’. It’s great when a good idea strikes like a thunderbolt!" With the iOS version of Mr Jump hitting six million downloads today (Tuesday) one might expect an Android version in the near future. But there is no certainty of this. “An Android version of Mr Jump will depend on the success of the iOS version at mid-term," says Jeremie. “All our games are developed with the native SDK because we love it. The drawback is that we will have to recode almost everything for the Android version." Thomas adds: “As the one who was in charge of the development of our only app available on Android, Mr Flap, I am not impatient to start this painful process. But of course if Mr Jump continues to grow the way it did for the past few days we will have to consider porting it to Android. A sure thing though: we will do it ourselves. We love to do everything in-house!" Finally, Jeremie asked us to give a special nod of thanks to the Touch Arcade community: “They always help us a lot with their feedback, support and love during the development process of our games."